I am so excited about this post! I had a truly wonderful day today and on top of that, I found some amazing stuff. I apologize for the not exactly superb photographs, but I recently started school so I'm not able to be home at the best times for good lighting. All of the items in this post were thrifted from different places (on different days haha), and I love everything I got. 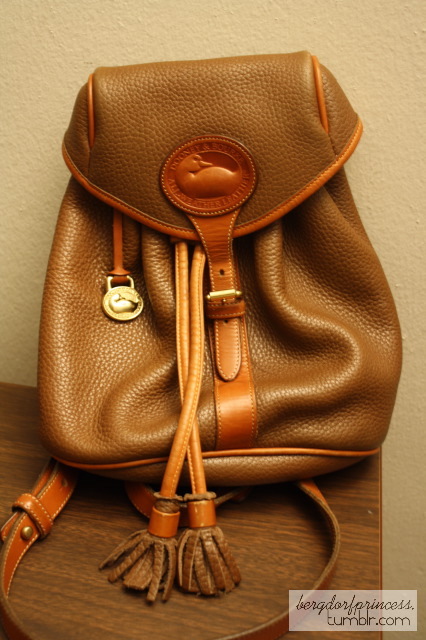 As you may have noticed from the picture before the cut, I got a new Dooney & Bourke all-weather-leather bag. This one was pricier than my other two, which you can see here. I got my other two bags for $9 each, and this one was $33. It's in extremely good condition and I absolutely adore it. It's a backpack. :) I don't have any and I'm really picky about what kinds I like, but this one is perfect! It will be great for bike riding in the spring/summer, or even for school. The next thing I purchased that I am extremely obsessed with is this absolutely stunning foulard from Yves Saint Laurent. I was unable to capture what it looks like, which is a shame, but I will snap a photo on my phone when I wear it! 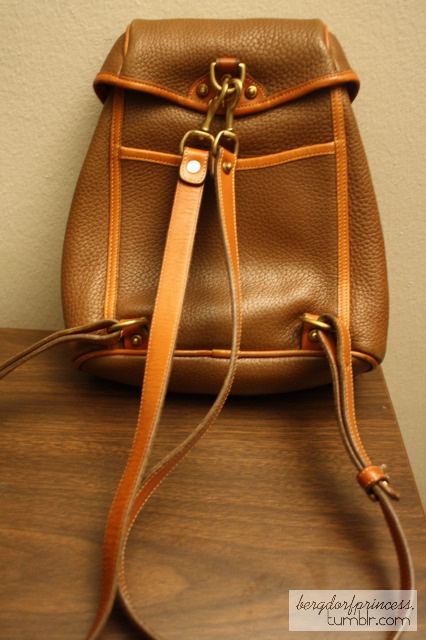 The color is truly so beautiful - it's this stunning amber brown. 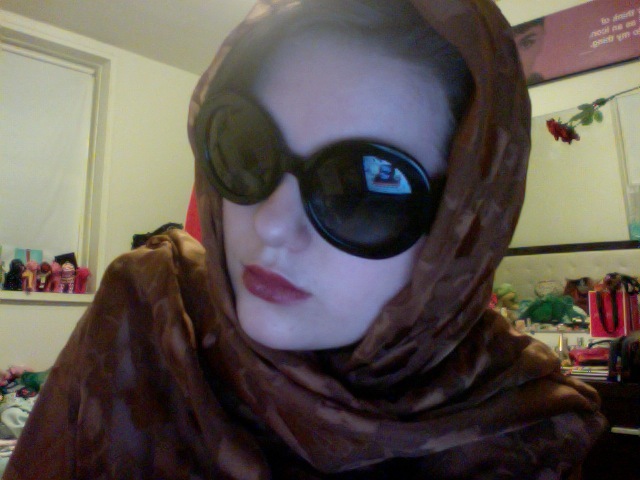 The scarf is 100% silk and made in France. It's pretty huge; if I open it all the way, I can technically wrap it around my body. It drapes so beautifully when I throw it over my shoulders. 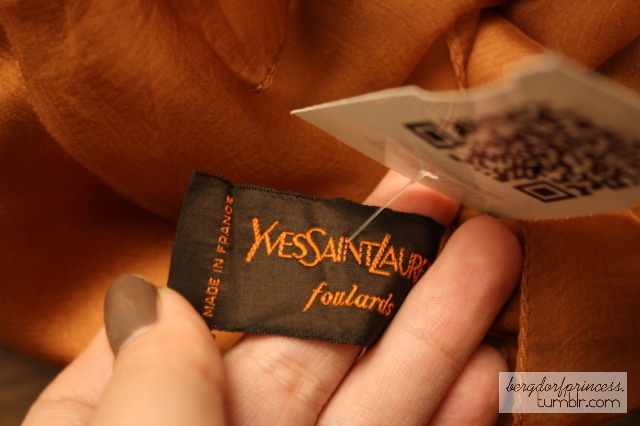 YSL scarves usually are around $900+. 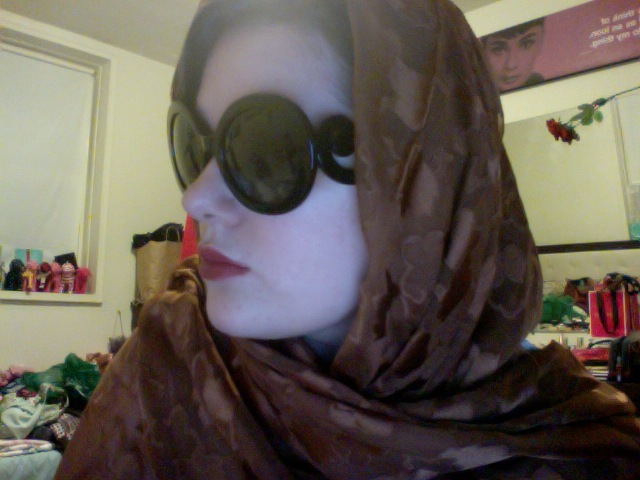 I got this scarf for $28!!!! The next thing I got is a cardigan from Juicy Couture. It was $24. 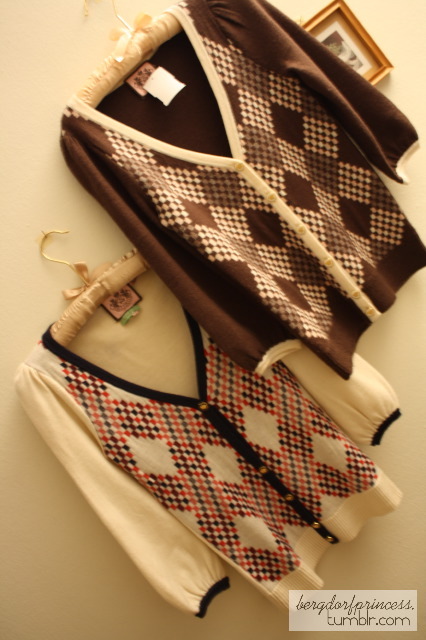 I love the sleeves, the crown buttons, and of course, the argyle. The color is a little different in person, but alas, my lighting was not very good! 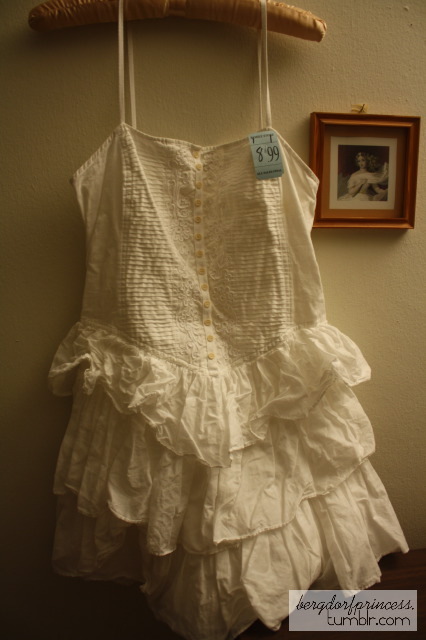 It's a silk/cotton blend and I love the ruffles, but I have to say, BCBG is not worth the money it costs at retail price. I don't love their quality. 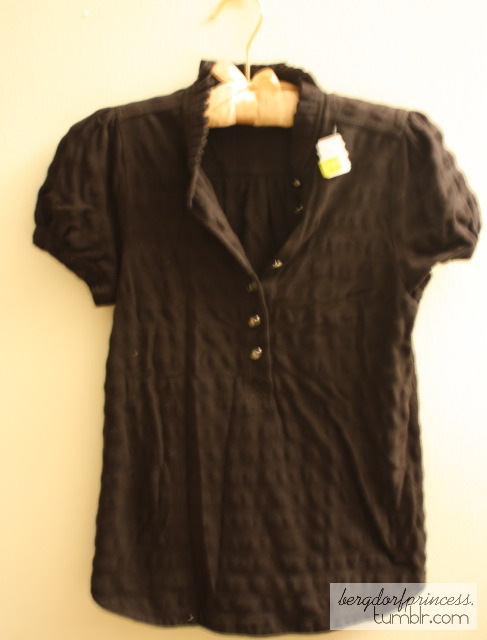 I got this Joie tank top as well; it was $14.50. I love it! What thrift stores do you suggest visiting? I am going to NYC mext week with school! I go to random stores because I feel like that way you get luckier. Pick a neighborhood that you will be in and google map search thrift stores in the area, and go to all of them! Goodwills, Salvation Armys, etc. You're bound to find something good! which neighborhood's thrift store did you go to? Cute blog, I love that backpack!! There is no where to thrift in Sydney (or shop) I feel fashion starved! Aw :( I'm sure there is someplace! Super in love with the scarf and the Joie top! where did you get the juicy cardigan? Have you heard of Alexia Admor? I bought one of her dresses today at a local consignment shop for $3 just because I thought it was cute and when I got home and looked up the brand I saw her dresses retail almost $300!